Grand Prix dot com has an article on the cooling of the Stepneygate affair, pointing out that things may be a good deal more complicated than previously suspected. The flow of "revelations" via the Italian media has dried up following Ron Dennis' comments regarding the legal implications of the leaks. Naturally, Ferrari have denied being the source of any leaks, Jean Todt claiming that the matter was "out of their control". Although it is difficult to see where the leaks could have originated apart from Ferrari, there is always the possibility that the Italian press have made the whole thing up and they have no real inside information at all. Except that no-one has actually come out and said so. The behavior of all parties concerned would indicate that the press are getting it right. And, if so, there has been a serious breach of the agreed confidentiality of Coughlan's affidavit. Big Ron may well be quite right to point out that these breaches of confidence could affect any decisions made in the FIA hearing on Thursday this week. 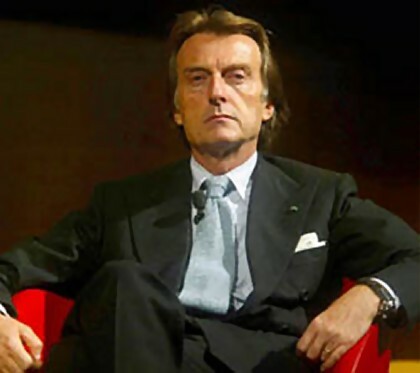 It is somehow appropriate that FIAT chairman, Luca di Montezemolo, should be the one to break his silence on the matter with a brief statement that focuses everyone's attention on the most important issue of all. He points out that the whole thing is damaging to the image of Formula 1 and he is absolutely right. The matter could have been dealt with in a far more seemly manner than the farcical international spy novel saga we have witnessed. It has been good for selling newspapers but little else. In January of this year, Nigel Stepney gave an interview to Autosport magazine in which he spoke of his discontent at Ferrari since Ross Brawn's departure. He mentioned that he was hoping for a year's sabbatical similar to Brawn's but, as things turned out, this was not granted. If Stepney was genuinely the source of all the subsequent problems, it is obvious that Ferrari made a very poor decision in not allowing a disgruntled employee to go. Once again my faith in the supremacy of F1 is shaken; poor man management seems to be rife, with Ferrari getting it hopelessly wrong in Stepney's case and now Toro Rosso revealing the extent of discontent in their camp. I suppose I have been far too gullible in my view of the sport but it's a bitter pill to swallow, even so. At the end of the day F1 is a business like any other, and as such the most critical element will always be the employees. Keeping them happy and motivated has got to be the number one priority. It seems like the various pressures of F1 tend to distract team management from fundamental good business practices: in a case like this, a personnel matter should have been dealt with in confidence, behind closed doors. I work in human resources, and confidentiality and discretion are absolutely paramount. If a small organization like mine can understand this, why can't multi-bazillion dollar companies like F1 teams get it? Couldn't agree more, Neil - although I do feel that F1 has become too much a business to the detriment of its sporting aspect. Perhaps we are watching the first signs of F1 awaking to its responsibilities in the personnel field and this scandal will be the spur to teams becoming a good deal more professional in the future. Agreed - if this is true, then it appears that a little even-handedness would have saved Ferrari, and a lot of other people, a considerable amount of trouble. A sabbatical after many years of loyal service should not be too difficult for a large organisation like Ferrari, especially when a sabbatical had already been granted to an individual with the same length of service. I can only presume that Ferrari were determined to prevent Stepney's skills going to the competition (he is credited with having created Ferrari's legendary reliability during Michael's tenure, after all). Given a sabbatical, he might well have been lured away, just as his friend and former boss, Ross Brawn, is being courted by everyone in sight. But it really doesn't work, hanging on grimly to someone as unhappy as Stepney appeared to be. That, surely, is a basic man management skill.